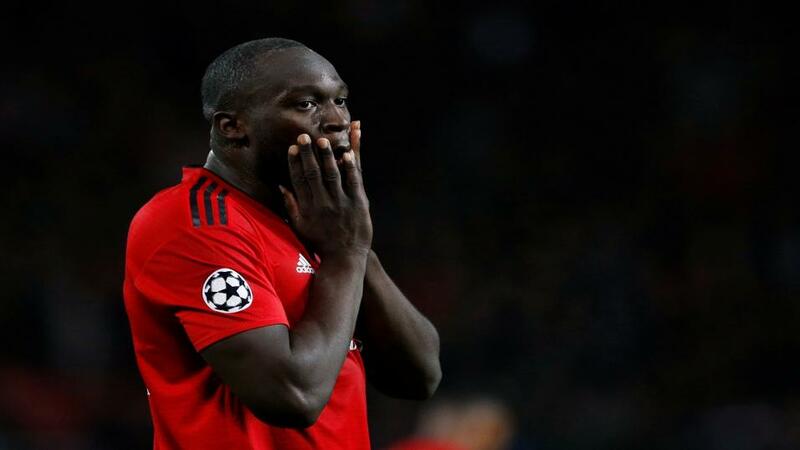 Romelu Lukaku has scored back-to-back braces in the Premier League over the last week. "But 8/11 is short enough as they say and I’d rather go with Romelu Lukaku at a far bigger 7/2. He looks back to his physical best and it was a wake-up call that he probably needed when Solsjkaer decided to play Marcus Rashford as his main striker shortly after arriving. His back-to-back braces against Palace and Southampton in the past week have been essential in United’s last two wins." Tottenham's title hopes are well and truly over after a draw and a loss in the last week but they're still contenders in this competition, albeit more of a dark horse than one of the favourites. They certainly did all they could to make sure they'll at least be contesting the quarter-finals after securing an excellent 3-0 winning the first leg. It would be the mother of all meltdowns if they didn't go through now. This one is far less likely to be so one-sided. An obvious place to start here is with 'yes' on the 'both teams to score' market. Although you wouldn't think so by looking at Dortmund's Champions League results this season. Of the seven games they've played so far, remarkably none of them saw both teams net. But a look at their home games in the league paints a very different picture. 83% of them have seen both teams score and Spurs' games in this competition had goals at both ends in five out of seven of them. And sometimes it's worth focusing more on how the game may pan out with the most likely scenario being that the hosts are on the front foot with Spurs trying to catch them on the break in search of that game-changing away goal. That anomaly of Dortmund games seeing at least one clean sheet in Europe aside, all logic suggests we'll see both teams scoring here, which is 4/7. Perhaps one of the reasons that Dortmund struggled away at Wembley was that they didn't have Marco Reus available to play. The German international is the team's joint-top scorer (with Francisco Alcacer) in the Bundesliga with 13 and has the same four goals in this competition as Raphael Guerreiro with four, making him joint top-scorer in that tournament as well. He's scored in five of his last seven matches and is worth going with for a goal here at 6/4. The double comes to 3.55. To all those people who don't understand why Ole Gunnar Solsjkaer hasn't been offered a long-term contract yet, it's worth remembering that Man Utd lost 2-0 at home to PSG. And not only that but the French outfit had more possession, shots on goal and corners so it certainly wasn't a smash and grab effort. United will be without the suspended Paul Pogba here and that will be a big loss. PSG are still without Neymar but the other big name unavailable for that first leg- Edinson Cavani- will play some part in the game after resuming full training. Teams like PSG don't really know how to play for the 0-0 that would see them go through comfortably and should play like they would in any other game; trying to win it. United have just about kept on winning in the league but have looked pretty shaky at the back of late and a second PSG win could be on the cards as a side boasting some of Europe's top players. But rather than go with 1/2 on the home win, we can get 3/4 on both teams scoring and that looks the way forward. After all, that failure to score in the first leg was only the second time in their last 22 games when the Reds haven't scored. Kylian Mbappe is in a rich vein of form, scoring seven in his last five games and now having 30 for the season. It's helped matters that he's been taking penalties in the absence of Neymar and Cavani. But 8/11 is short enough as they say and I'd rather go with Romelu Lukaku at a far bigger 7/2. He looks back to his physical best and it was a wake-up call that he probably needed when Solsjkaer decided to play Marcus Rashford as his main striker shortly after arriving. His back-to-back braces against Palace and Southampton in the past week have been essential in United's last two wins and after backing a Lukaku goal in a victory over the Saints on Saturday, I can't resist showing faith in him again. The double comes to 4.68.